On March 27, 2018, a group of officials, politicians, and intellectuals from Europe and Israel met at the Jerusalem Center for Public Affairs for a day-long discussion on relations between Israel and Europe. We aimed to engage in a discussion about the conflicting attitudes and misunderstandings we have vis-à-vis one another and to attempt to resolve these issues. We called our assembly a “working group,” giving it an ongoing aim: defining a new pattern in Israeli-European relations. What you will find here for the first time is a European-Israeli mix of ideas. We asked the participants to write essays about what each of them considered as the most important issue – as candidly and spontaneously as possible. The results of this endeavor are multifaceted, and we consider it a gateway to discussing the subject for anyone interested in advancing a new diplomatic approach. 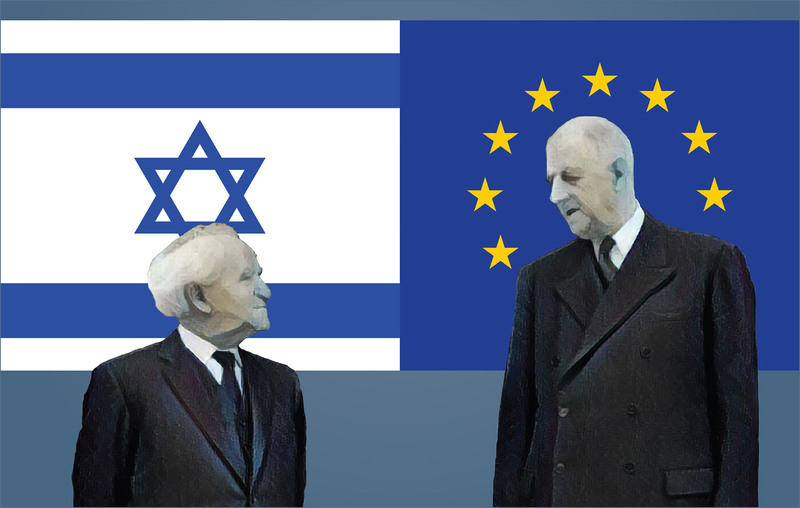 The passion that you will find in each essay shows that the relationship between Israel and Europe is something even deeper than friendship, dearer than the affinity between Israelis and Europeans. It goes beyond economic, scientific, medical, technological, and security interests that are all, of course, addressed in this text. It is also a relationship that involves a shared interest in the history of humankind itself, intertwined with historical, moral issues based on the fact that many Israelis are also of German, Italian, French, or British origin. If you look at it from a European’s perspective, you will see the same view from the other side of the coin: what many Israelis represent in the European mind is the natural outcome of European history. They harbor the same fundamental idea of democracy, the same origin of thought about the right of self-determination and nation-states (yes, even if we are aware of how much this has changed in Europe since the end of World War II). Unfortunately, we are also tightly wed to each other by the tragic event that befell the Jewish people on European soil, which should be a main part of the European conscience since the time of the Holocaust. But this has not happened, unfortunately, as the huge rise of anti-Semitism shows. Another side of the coin shows an unbelievable misunderstanding from the side of a big part of the European Union vis-à-vis Israel, a totally unjustified so-called clash of values that believes that Europe differs from Israel in its rejection of any kind of war as unjustified aggression. These Europeans ignore the fact that Israel has been engaged only in wars of defense and that human and civil rights have never been forsaken by the Jewish state. Europe has refused to consider Israel’s steadfast faithfulness to its own values in the face of a most difficult situation, namely the territorial and ideological siege it faces daily and the Palestinian refusal to engage in discussions that could bring about peace. Here we chose to opt for an open and friendly debate with people who have varied experiences, from a chief of the police in Brussels to a former Israeli general in the military’s intelligence service, from a Green member of the Bundestag to the president of the Jerusalem Center, who also served as the Israeli ambassador to the United Nations and director of the Israeli Foreign Ministry. We include, as well, several Israeli retired ambassadors to European countries, historians, and journalists. Readers will find here a detailed and complete examination of the mistakes, wrongdoings, and basic reasons why Europe sometimes cannot or does not want to understand Israel. That said, what you will also find is a friendly search for solutions. Sometimes, the wrongdoings involve anti-Semitism or a kind of politically correct conformism that closes European eyes to a point of blindness. Our conviction is that mutual sympathy and goodwill can still be found in Europe. The issues of the Israeli-Palestinian peace process, Hamas, Iran, Hizbullah, Syria, territories, and new political forces in Europe were part of these discussions and conclusions of the guests who participated at the Jerusalem Center meeting in March 2018. All of these issues seem to require unique solutions. What surfaced from our talks is that there is a fundamental historical affinity to truth. The future is pushing us in the direction of mutual understanding for the sake of our common welfare, the development of poor countries, entente with the Islamic world, and the fight against global terrorism. All these goals require that Israel and Europe find common ground and work together. P.M. David Ben Gurion has his first meeting with General Charles de Gaulle, Pres. of France at the Palais de L’Élysée in Paris, during his official visit to France in 1960.